A Music ,fashion and lifestyle magazine dedicated to exposing Fashion, Lifestyle and Music around the Globe. NEW WEBSITE .. http://soulcentralmagazine.com/ Hot new fashion daily online and our exclusive monthly magazine delivered and distributed to Fashion labels, Agents, A&R’s, Talent scouts, Managers, Video directors etc throughout the fashion, music, film & TV industry. 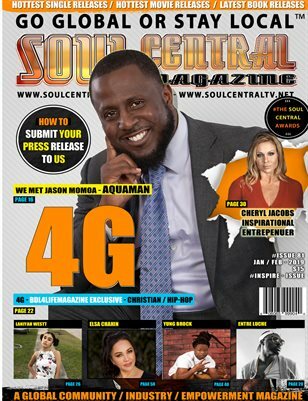 Soul Central Magazine has a policy of finding the "NOW" whats "HOT" discovering new trends and delivering to our readers and followers the hottest new fashion and music to date. 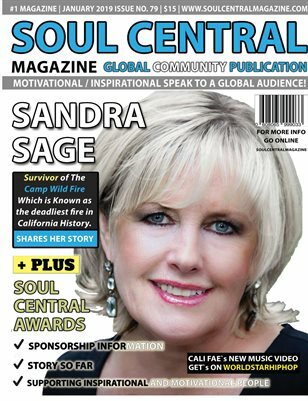 What makes Soul Central Magazine different from other magazines???? Soul Central Magazine will be publishing the next fashion trends from lemon mango face scrubs, new devices, new exclusive fashion, footwear and hot talent. Aimed at the modern day man and the independent women, we at Soul Central Magazine are sure to deliver the ultimate gadgets keeping you staying fashionable and healthy with hot fashion trends, cosmetics and beauty products for both male and female. Delivered to an industry near you!